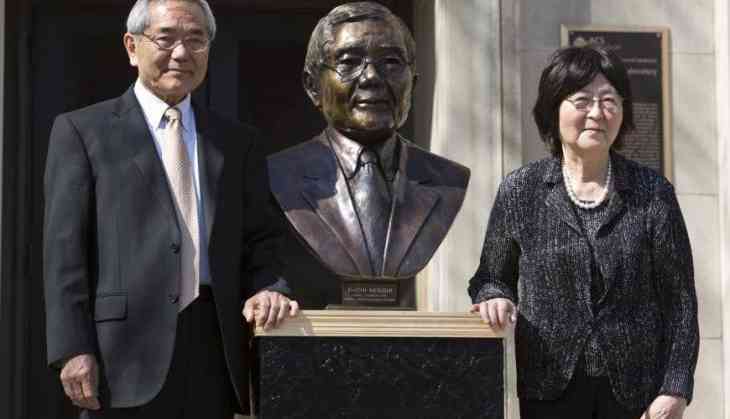 A Japanese Nobel Prize winner chemistry professor, Ei-ichi Negishi's wife who was suffering from Parkinson's disease, was found dead at an Illinois landfill hours after the couple was reported missing two days back. While the body of the 80-year-old Sumire Negish ( wife of the Nobel Prize winner) was spotted in Rockford, the husband was walking nearby and was later taken to a hospital. Since Monday, the couple had gone missing. They lived in West Lafayette, Indiana. As per record, Ei-ichi Negishi received the Nobel Prize for chemistry in 2010 for "Palladium-catalyzed cross couplings in organic synthesis." Mourning the loss of Sumire Negishi, Purdue President Mitch Daniels said, "Throughout a lifetime of love and loyalty, she supported her husband in a career of tremendous contributions to science and to the teaching and training of subsequent generations of top scientists." In a statement released by the family, they mentioned that Negishi had been "near the end of her battle with Parkinson's (disease)".